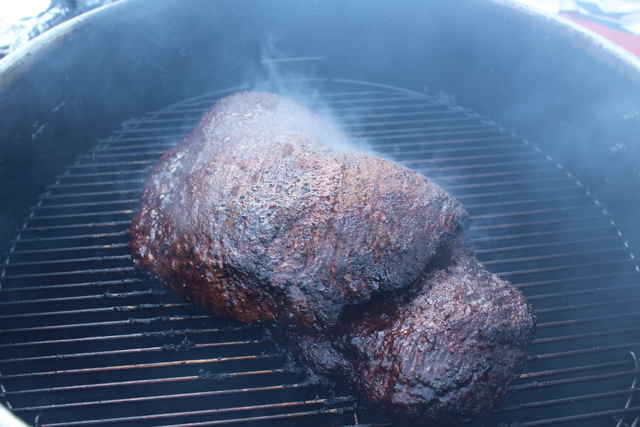 Yesterday we had a brisket injected and seasoned but it was 10 below out with -35º to -45º windchills. 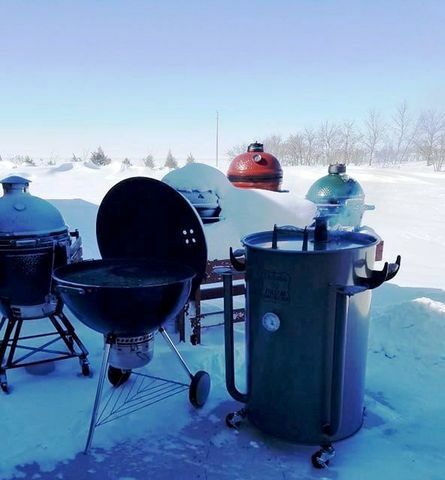 Whatever, just a chilly inconvenience… drum smoker set up using other grills, table and snow bank as a wind break. 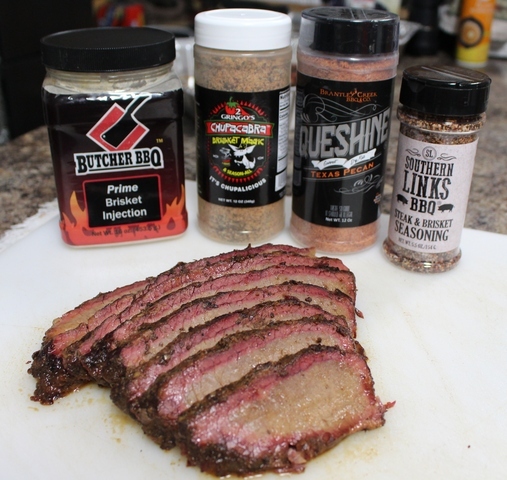 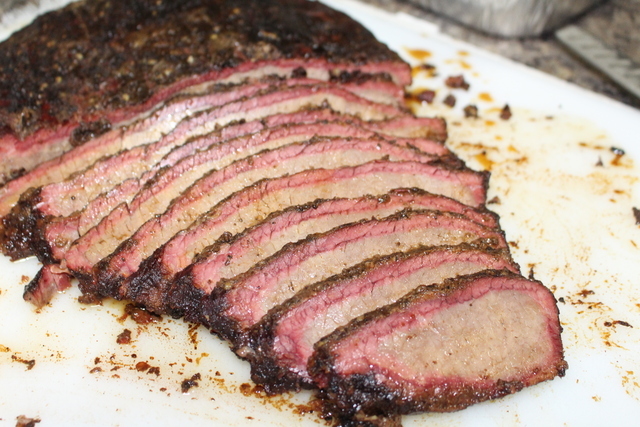 This brisket was popping with flavor!